Perogies & Gyoza: What Are You Reading on World Read Aloud Day? 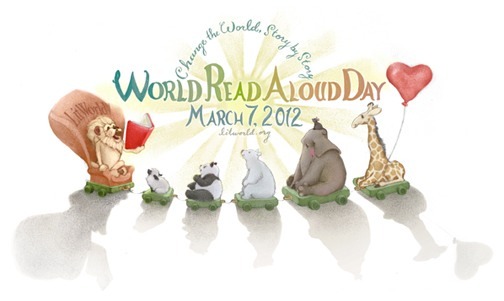 Today is World Read Aloud Day! What will you read aloud, and who will you read to? Today I read aloud to a few classes at a kindergarten. 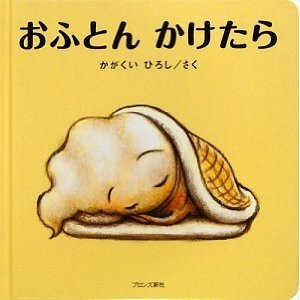 I read 3 books; Sora and the Cloud, There Was An Old Lady Who Swallowed A Fly, and Ofuton Kaketara (Japanese book). They were all hits. My daughter wants me to read Chirp Magazine's Grandparents Issue. Who am I to say no? My son, Spinky, chose Where the Wild Things Are. Lovely, classic book. I needed something lighter after The Letter Opener, so I am reading the very funny Jann Arden's autobiography, Falling Backwards. It's a gas- review to come. I didn't know that Jann had an autobiography. I'll have to look out for it. She's such a hoot! And no reading out loud here...sad to say. No one to read to. I read Room on the Broom (Julia Donaldson), Bush Babies (Kim Dale) and Puff the Magic Dragon to my 7, 5 and 3 year olds. Their choices respectively. Funny how they are all a similar style...poetry! My class is studying the Iditarod, so we read Kiana's Iditarod and Alaska's Three Bears by Shelley Gill and illustrated by Shannon Cartwright.